A fine, heavy duty hole punch which can be used to exert up to 2400 lbs. of punching power in your hand. 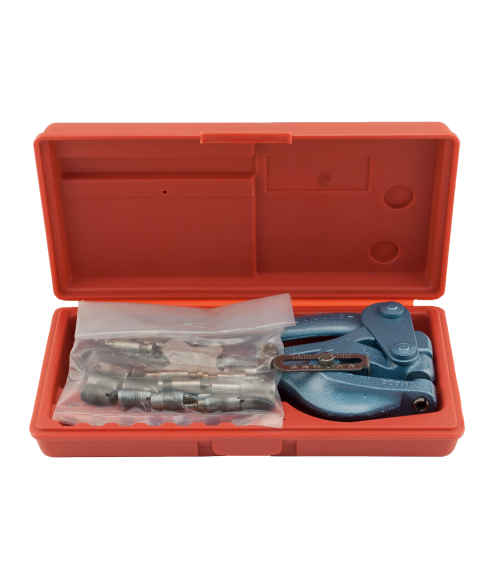 Comes in a handy carrying case with 6 round punches and dies, 3/32", 1/8", 5/32", 7/32", 1/4" and 9/32". This tool also comes with an adjustable depth gauge, and easy-to-change tooling. It will last for years.